In books like "Goodbye, Columbus" and "Portnoy's Complaint," Roth chronicled the existential and sexual anxiety of the 20th-century Jewish American male. 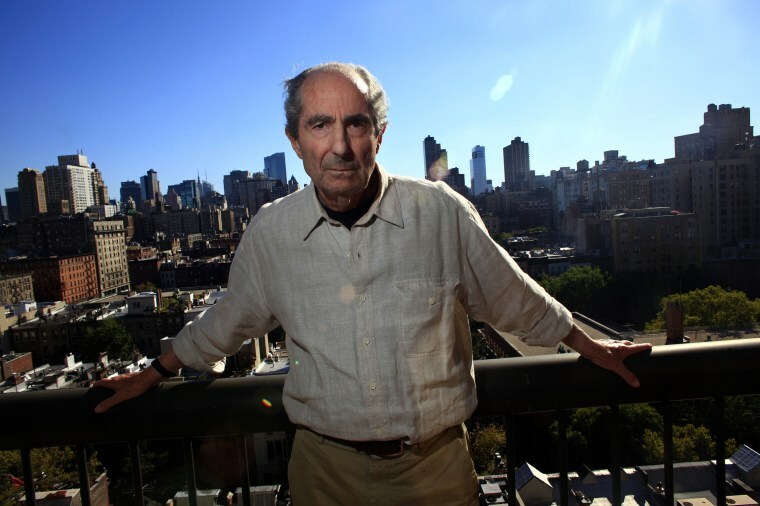 Philip Roth, a colossus of American fiction whose novels and stories like "Goodbye, Columbus," "Portnoy's Complaint," "The Human Stain" and "American Pastoral" chronicled the existential and sexual anxiety of the Jewish American male in the second half of the 20th century, died Tuesday night at age 85. Roth's literary agent, Andrew Wylie, told NBC News he died of congestive heart failure. Roth was one of the most highly honored figures in American literature, having won two National Book Awards, three PEN/Faulkner Awards and a Pulitzer Prize (for "American Pastoral"). Roth traded literary fame for mass fame in 1969, when he published "Portnoy's Complaint," a sustained download by its narrator, Alexander Portnoy, to his psychoanalyst. In a 2014 New York Times essay, Roth wrote that, 45 years later, he was "shocked that I could have been so reckless, pleased that I was so reckless." "I certainly didn't understand while at work that henceforth I was never to be free of this psychoanalytic patient I was calling Alexander Portnoy," he wrote. "Impatient with the virtues of logical progression, I wanted to renounce the orderly, coherent development of an imagined world and to advance helter-skelter, in a frenzy, as the classic analytic patient ideally proceeds in the throes of associative freedom. "I portrayed a man who is the repository of every unacceptable thought, a 33-year-old man possessed by dangerous sensations, nasty opinions, savage grievances, sinister feelings and, of course, one stalked by the implacable presence of lust. In short, I wrote about the quotient of the unsocialized that is rooted in almost everyone and addressed by each with varying degrees of success." Roth was born and raised in Newark, New Jersey, the second child of first-generation American Jews from the historical Eastern European region of Galicia, or what is now Poland and Ukraine. He hit the ground running, publishing "Goodbye, Columbus and Five Short Stories," his first book, in 1960. It won the National Book Award, and for the rest of is life, much of his literature tackled head-on the thorny questions of Jewish status and identity in American culture against the turbulent backdrops of the 1960s and the 1970s. In a style that can be likened to Woody Allen's darker existential movies, his works were often funny, but they weren't comedies, barring the occasional satire like "Our Gang," a surreal sendup of the Nixon administration. It was published in 1971 — before the world even learned of the corruption of Watergate. For decades, Roth was associated with The New Yorker, which first published him in 1958. In consecutive issues in 1979, the magazine published the full text of his novel "The Ghost Writer," which introduced the character of Nathan Zuckerman, in whose voice he would go on to write many of his best-known later works. "Few novelists have been as dogged by personal interrogations as Roth, or as publicly distressed by them," the critic Nathaniel Rich wrote in The New York Review of Books in March. Rich took note of the dual antagonism and respect with which many intellectual American Jews regarded him, whose laying bare of the disillusionment with the American Dream held by a particular subset of Jewish intelligentsia was close enough to the bone to be both true and nettlesome. But Rich concluded that Roth's idiosyncratic point of view was needed now more than ever before. "Readers and critics, distraught at the nihilism of the current political nightmare, have sought comfort in fiction that affirms their principles and beliefs, fiction in which victimized peoples rise triumphant," he wrote in March. "They desire a new Exodus, new Leon Urises. And they will get them. But we should hope for something more. We should hope for new Philip Roths." CORRECTION: (May 23, 2018, 10:05 a.m. ET): An earlier version of this article referred incorrectly to the background of Roth's parents. They were from the historical region of what is now Poland and Ukraine then known as Galicia, not the Galicia region of Spain.